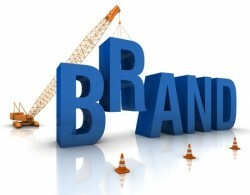 Q: When does top-notch branding NOT deliver? First, some background… We were recently engaged by a client to develop the branding for a start-up company in Northern Virgina — logo design, website design and development, brand messaging, corporate identity materials, etc. We always begin our professional process with a detailed questionnaire that we use to better understand our client’s needs and business model. In this case study, our client is the CEO and a sophisticated woman with all the pertinent answers a branding company could ask. She told us her perceived target market, her target location, her mission, her vision, her income goals, etc. The target market was clearly defined and the concept well articulated — the usual competitor and client research would lead to an overwhelming endorsement of the products and services she was proposing to offer. And then came the killer question that most branding companies don’t have the strategy expertise to analyze — what were the financial projections? The “well defined marketing segment” was simply not large enough to sustain the overhead for the business. Further research revealed that a much larger adjacent market segment was readily available BUT they would not respond to the intended brand message or image. As a result, before our client spent her precious investment dollars on improper branding, we redefined her market segment, modified the products and services and established a financial plan that was credible and but her on a path to success. This preliminary strategy consultation lead to a significant brand shift — including a new company name, refocused messaging, new image and interior design for the building, all tied into the website. The outcome for our client — almost $1M saved in misplaced investment. So, when does top notch branding NOT deliver? For more information on how to build a successful brand that fits with your business strategy please contact us before investing your branding dollars. 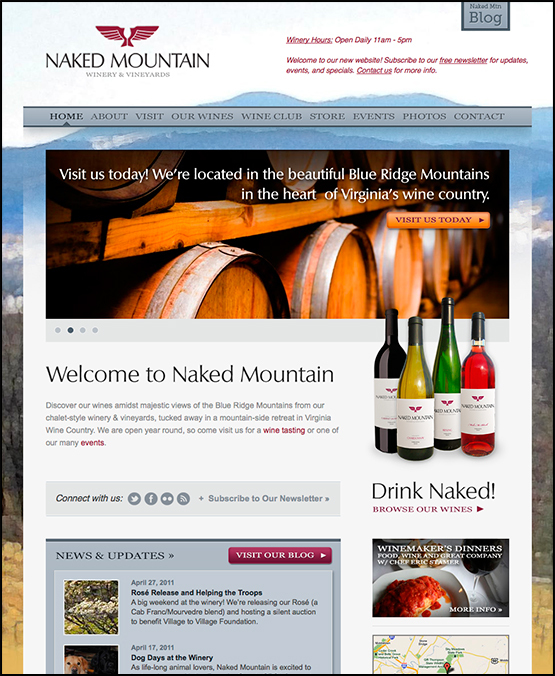 A thriving Virginia winery, Naked Mountain Winery and Vineyards now has a new logo, new marketing materials, new labels at the printer and a new website all designed by the team at TRUE creative services! The new site is designed to enhance the winery’s social media marketing campaigns, as well as cater to their already loyal following. New owners Randy and Meagan Morgan are ready busy with new internet marketing techniques as well as grass roots event-based marketing. For the best view of the new logo and the lovely Virginia scenery, take a trip out to see the winery for yourself and enjoy a tasting and perhaps an afternoon sitting on the deck overlooking the vineyard and mountains. The winery is less than an hour outside Washington, DC in the beautiful Blue Ridge Mountains. We were also proud to have been contracted to name their new Blush wine, now being bottled with the delightful tease “Make Me Blush.” We wanted to incorporate the playful “Drink Naked” tag line to celebrate this wine’s beautiful hue of pink. Go have a taste, and tell them we sent you!! Enjoy!